At Networking Plus, you get unique and specialized services that only a small town can provide. 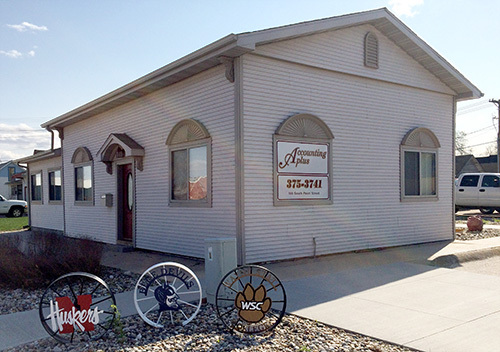 Located in Wayne, Nebraska, Networking Plus is a technology and design firm specializing in computer network setup and administration, technology consulting, website design and development, website maintenance, graphic design (digital and print), logo design and branding, and accounting software system setup. Our staff has several years of professional experience in the services we offer. Networking Plus was formed in 1999 as a separate division of Accounting Plus, a computerized bookkeeping, tax preparation and payroll service provider. Due to her savvy technical skills, Marta Nelson (owner of Accounting Plus), was approached by several clients to assist them with network administration, system configuration, and general IT solutions. It was from this client demand of specialized IT services that drove the need for Networking Plus. Since then, the services of Networking Plus have grown to include website & graphic design, along with data backup and disaster recovery, which was prompted after a tornado wiped out the eastern side of Wayne and many businesses lost all their equipment and data.